Politics is the study of the ideas, institutions, and histories that shape the way people organize themselves over time and across continents. Politics courses study how societies organize themselves to manage conflict and promote cooperation; how they distribute resources and allocate power; and how they make and implement public policy. Understanding these issues is vital to anyone wishing to be a responsible citizen. At Brandeis, our study of politics is based on scholarship but is also fully engaged with the practice of politics. You will examine the world – ancient and modern, Western and non-Western - to gain the knowledge and perspective you need to analyze and work effectively within political structures and processes. Among our many strengths, we focus on international and comparative politics and the analysis of democracies driven by ethnic, gender, religious and racial differences. In our seminars, you will hone your critical thinking, reading and writing skills and become adept at developing insightful analysis and articulating well-reasoned arguments. Our majors are well equipped for a wide variety of careers, including governmental and nongovernmental public service, policy analysis, journalism, law and business, as well as for post-graduate work in political science and other social sciences. We pride ourselves on how much and how well our faculty and students work together. The Gordon Center for American Public Policy supports undergraduate assistantships for work on faculty research projects. We have strong academic and advising relationships with the Crown Center for Middle East Studies, International and Global Studies, the Department of African and Afro American Studies, and the Women’s Gender and Sexuality Studies Program. The Greenberg Fund supports many research opportunities for students, including research for senior honors theses and presentations at conferences. Many of our faculty work with undergraduate research assistants for pay or for independent study credit. Our department has been highly ranked in book productivity, and our faculty contribute regularly to both scholarly journals and mass media outlets such as the Washington Post and the New York Times. We encourage students to seek out internships independently, and we also offer an internship course, which gives students a forum in which to reflect on their work experience in government, law, media or advocacy with related coursework. Through the Brandeis in the Hague Program, you can spend a summer in the Netherlands studying international justice. You can also spend a semester or a year in another country, such as the United Kingdom, studying British politics at the London School of Economics. Many of our alumni go on to business or law school or pursue a master’s or doctoral degree in political science. Others enter into public service careers through organizations such as Teach for America and AmeriCorps Vista. Our alumni have gone on to positions at such institutions as the American Foreign Policy Council, the Office of the Governor of Massachusetts, Human Rights First, Harvard University, CNN, The New York Times and the United States Congress. You might choose to the politics minor to complement a major in history, international and global studies or another field. See the requirements for the minor in the University Bulletin. 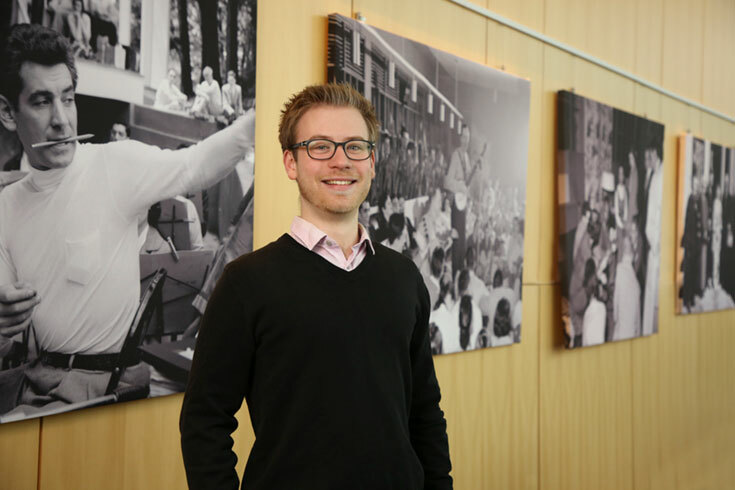 Jonathan is a double-major in Politics and Philosophy and a triple-minor in Economics, Legal Studies, and Social Justice and Social Policy, and his list of accomplishments outside the classroom is lengthy. Among other things, he's started a non-profit, The Right to Immigration Institute, to provide legal resources for immigrants in Waltham, and in November 2017 he became the youngest elected member of the Massachusetts Democratic State Committee.